The X-Men franchise is filled with familiar faces, with some of Hollywood's top actors reprising their roles as Marvel's Merry Mutants. But one major character will be absent in the next installment. Rose Byrne, who plays Moira MacTaggert in the series, revealed in a conversation with CinemaBlend that she will not be returning for X-Men: Dark Phoenix, the fourth film in the prequel franchise. "Unfortunately, Moira is not showing up," said Byrne. "I wish she was. I had such fun on X-Men: Apocalypse. I love that cast. It is a really fun, what do you call it? Superhero film... ensemble exactly. I can't wait to see what [Jessica Chastain] does, cause I'm such a fan." The actor appeared in X-Men: First Class and, after sitting out for X-Men: Days of Future Past, she returned to the franchise in X-Men: Apocalypse. MacTaggert was integral to both films events, and her character was altered from the source material in which she was a geneticist to a CIA agent on screen. In X-Men: First Class, she aids Charles Xaver and his team in the fight against Sebastian Shaw and the Hellfire Club and developed a relationship with the mutant mentor. Her absence in the sequel was explained in X-Men: Apocalypse in which Xavier reveals that he erased all memories of their encounters, effectively meeting again for the first time. But that movie ends with Xavier replacing those memories. Moira is surprisingly cool about the whole thing and seems to resume her relationship with Charles, setting her up as an ally to the X-Men yet again. While it might seem strange that Byrne will not be returning for the new X-Men movie, it makes sense given how crowded it's shaping up to be. The series seems to be shifting the focus from the original group of Jennifer Lawrence, James McAvoy, Nicholas Hoult, and Michael Fassbender to the younger stars like Sophie Turner, Alexandria Shipp, Evan Peters, and Tye Sheridan. And even though Jessica Chastain has debunked the rumors that she's playing Lilandra, the ruler of the Shi'ar Empire and lover of Charles Xavier in the comic books, the film will be adapting some version of the Dark Phoenix storyline for the film. Perhaps they decided to jettison Moira in favor of a new, evil love interest for Xavier? Byrne can next be seen in Peter Rabbit, opening on Friday, February 9th. 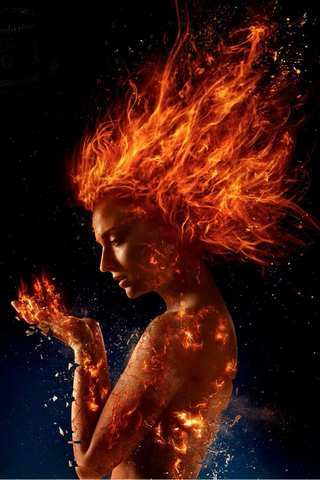 X-Men: Dark Phoenix is scheduled to premiere in theaters on November 2nd.